Picture this: The snow-capped Rocky Mountains are right outside your window, you drive past buffalo on the highway and go snowboarding at 12,000 feet above sea level. Oh, you also collect a paycheck. 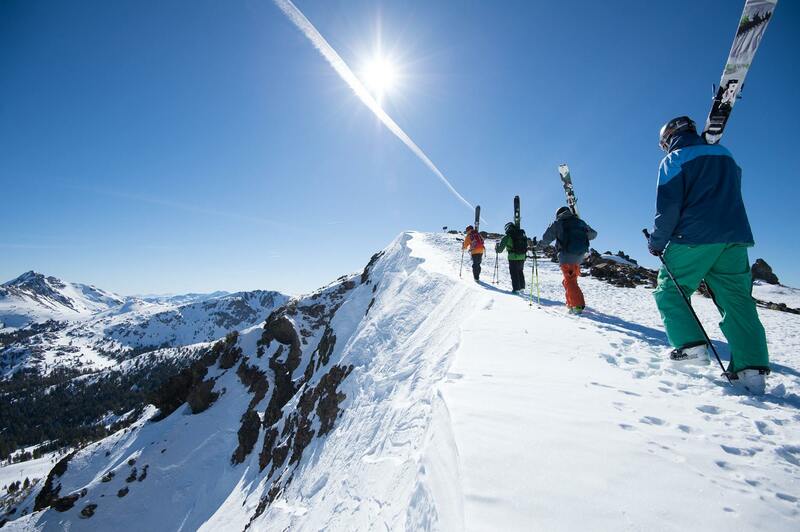 Vail Resorts — named one of the world’s 50 most innovative companies by Fast Company– is hiring thousands of seasonal workers across the country. The company owns 12 resorts: Vail, Beaver Creek, Breckenridge and Keystone in Colorado; Heavenly, Northstar and Kirkwood in California; Park City and Canyons in Utah; Afton Alps in Minnesota; Mt. Brighton in Michigan; and Grand Teton in Wyoming. Open positions range from baristas and ski instructors to lift operators and even snowmakers. You name it, it’s probably listed. Sound like you? If so, you can apply from the comfort of your home. Pay starts at $10 per hour. The company says many employees stay for a career and can become senior managers or directors, making upwards of $80,000 per year, according to Glassdoor. Many of the jobs require little to no experience, and all training and certifications are provided. There’s a lot of potential to reach your peak. Living in the mountains comes with a price tag. I mean, those picture-perfect views have to be worth something. Good news, though: Employee housing is available for full-time winter employees. However, you need to act fast because only a limited number of apartments are available. If you live outside the resort, it may cost between $600 to $1,000 a month. So, plan accordingly. You also could save money by ditching your car. It’s quite easy to get around the resorts. Buses run regularly and some are free, while others are available at a discounted rate. Obviously, you get a free ski pass — and that’s just the beginning. Full-time employees are eligible for health insurance and paid time off. Plus, there are tons of employee leadership training opportunities and a special foundation for employees in need of grants for things like education. All employees — including part-time! — are also eligible for a 401(k). Currently Vail Resorts matches 50% of the first 6% contributed by employees. Those with less than five years of service also receive four $60 discount lift coupons for friends/family. If you’re near a resort, there’s a national hiring event on Nov. 5. Applicants will receive an interview and a possible job offer on the spot. But no matter the season — Vail Resorts will call or email to schedule a phone interview. The older I get, the more I realize we were born to wander. So take a leap of faith and let this be your next adventure. Your Turn: Does this sound like a dream job?